The architect Prof. Richard Döcker immortalized with the Bauhaus floor lamp DSL 23 in our minds and leaves us with an exciting Illuminations design. 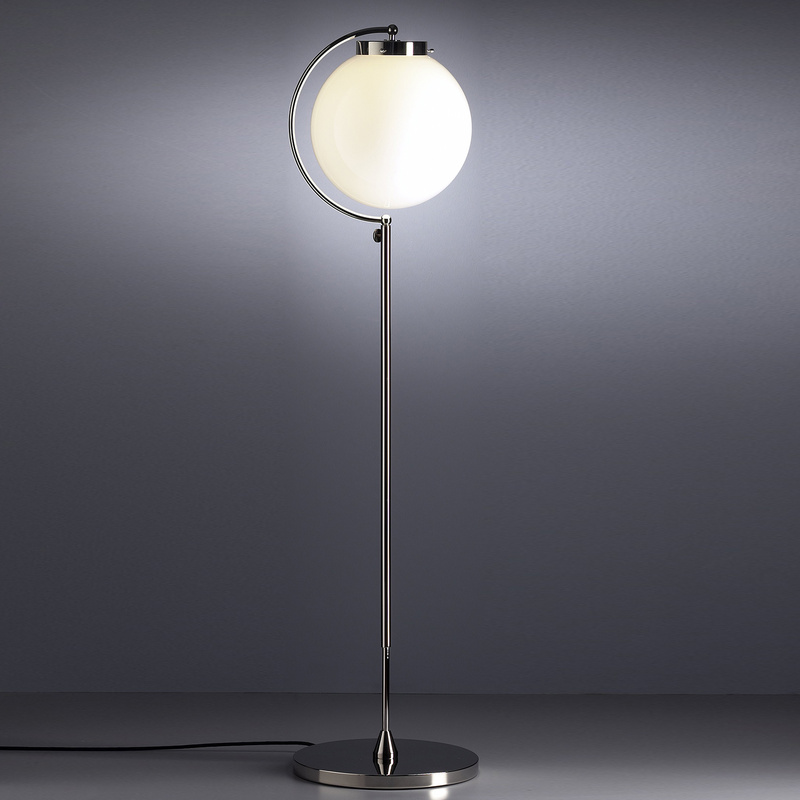 In their Höge adjustable, the ball of light reminiscent of a glowing globe due to their enclosure. Through the opal, the light is diffusely wiedergegben in the room and an atmospheric ambience is created. The tasteful Bauhaus lamp is particularly suitable for placement in the living room or bedroom where she makes for a pleasant living light. Create with the floor lamp DSL 23 a magical atmosphere and spend cozy evenings by the light of this powerful illumination of the object Tecnolumen. Jede Leuchte ist fortlaufend nummeriert und trägt das Tecnolumen Logo.